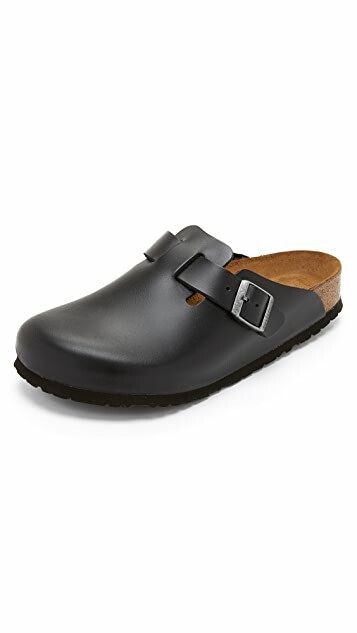 Timeless Birkenstock clogs with an adjustable strap at the instep. 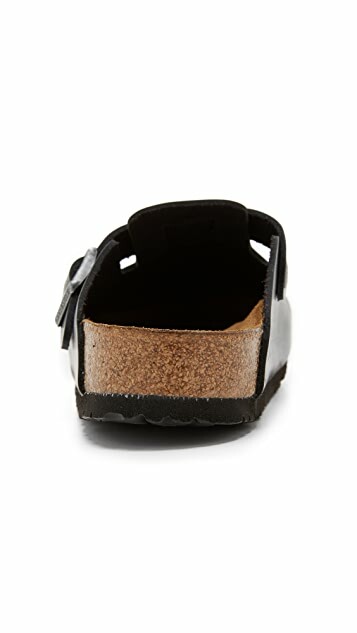 Smooth leather upper and suede footbed. Cork midsole and EVA sole. 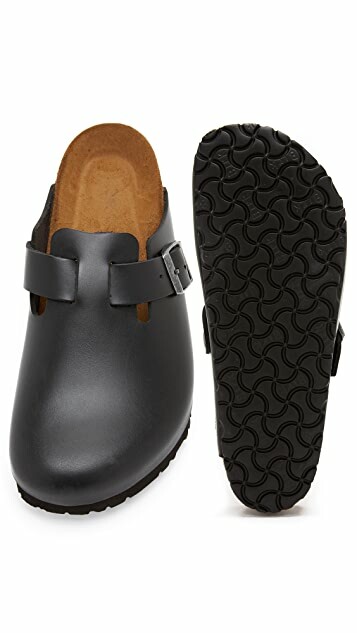 In 1966, Margot Fraser returned from a trip to a German resort with a pair of traditional leather sandals. The comfortable, ethically made shoes connected with the ’60s mantra of peace and love, so Fraser went back for more. 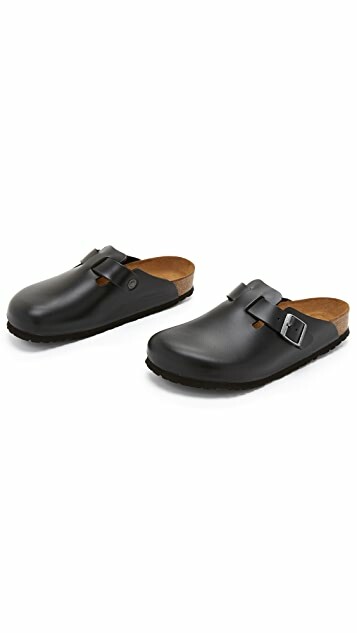 Over time, Birkenstock has evolved from a 19th-century family shoemaker to an Industrial-era staple to an iconic totem of the Woodstock generation. 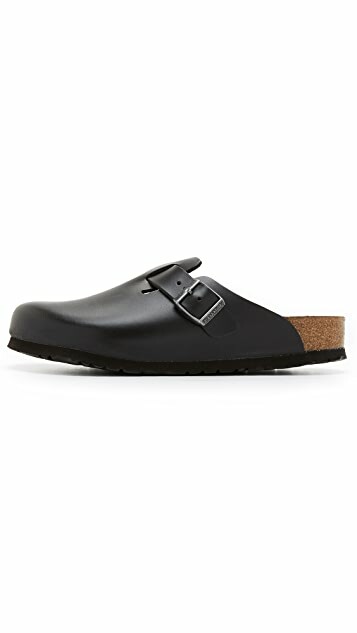 Today, Birkenstock takes on new appeal with original and updated styles of sandals and shoes.